The immediate past chairman of EFCC, Ibrahim Lamorde has told the senate committee on Ethics, Privileges and Public Petitions that they do not have the powers to invite him for an investigation as he is no longer the chairman of the anti-graft agency. 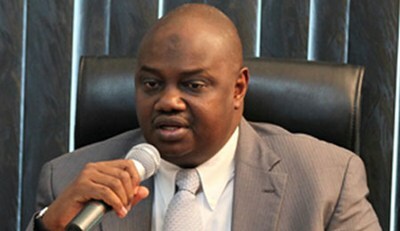 The senate committee is currently investigating allegations that Lamorde diverted N1 billion of recovered stolen funds during his tenure. Speaking through his Lawyer, Festus Keyamo who represented him at the senate hearing today, Lamorde argued that it is only a law court that can invite him for any investigation. He said he will only honor the invitation of the senate only if he is invited as a witness and not an accused. The Chairman of the committee, Emmanuel Nwanyawu, told Keyamo that the committee is not a court of law and, therefore, a lawyer cannot appear before it on behalf of his client. He said another letter of summons would be issued to Mr. Lamorde informing him he must appear before the committee on November 24th.